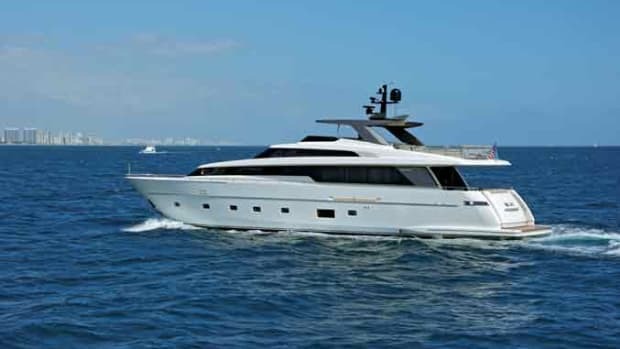 With the SL78, Sanlorenzo adds an American sensibility to its Italian design. 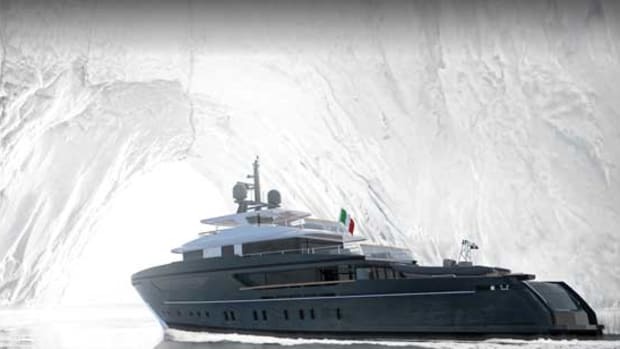 Full disclosure: I have long been a fan of the Sanlorenzo line, particularly because George Jousma, who transforms the Italian-built yachts for North American boaters, does it right. 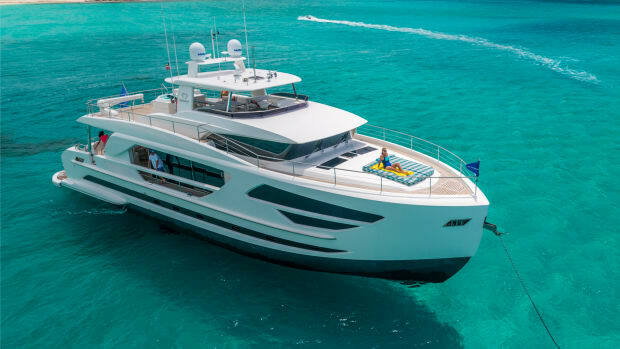 I say “transforms” because, unlike builders that adapt yachts, Sanlorenzos are designed from the keel up to function on this side of the pond, including having American-friendly power outlets and appliances. The result is a wonderful Italian design tempered with U.S. pragmatism. 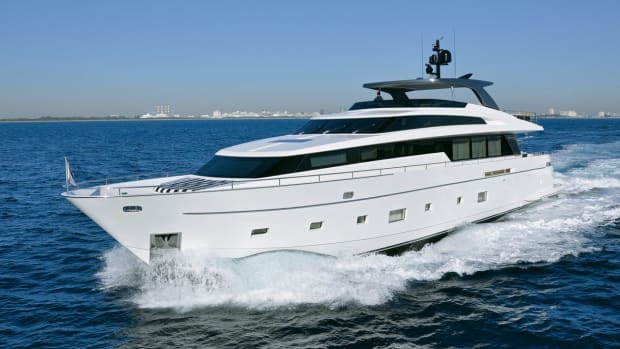 The entry-level SL78 is both of those things; it’s also semi-custom (Jousma likes to use the word “personalized”), an attribute that comes along with the services of interior designer Marty Lowe. Owners have some smart spaces to personalize. The salon windows stretch from the overhead to behind the couches and cabinets, creating a loft-like feel that brings the outside in. 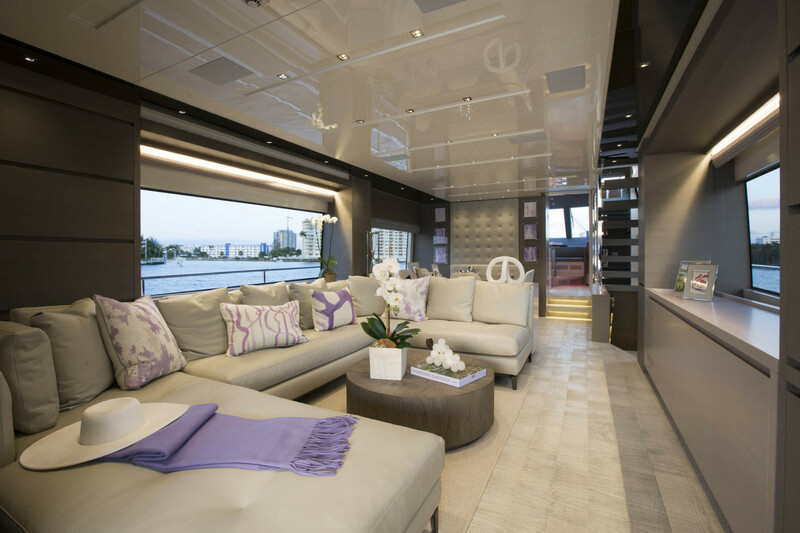 On the SL78 that I toured, Lowe created a sitting area with wraparound couch and pop-out TV. Not pop-up, but pop-out: This TV pops out from behind a glass stowage cabinet. And forward in the dining area, instead of placing space-eating chairs around the table, Lowe and Jousma put a banquette against the forward bulkhead, creating seating for eight in a smaller-than-usual space. The salon has a loft-like feel with large windows. Note the dining area forward. The white and bright country kitchen-style galley to port has an island countertop, Miele six-burner induction stove, and Sub-Zero drawer fridge. A day head is opposite, with the helm and a dinette just forward. The lower-deck accommodations include a master stateroom with ensuite head abaft a pair of sliding doors; a bureau with desk is to starboard, plus a walk-in closet with shelves. The VIP forward breaks with the traditional island berth stuffed into the bow; this entire stateroom is offset, allowing an athwartships berth with walkaround space and an ensuite head with shower. Between these two staterooms are a pair of double-bed staterooms, each with head and shower. Mirrors add a sense of depth to the master stateroom. 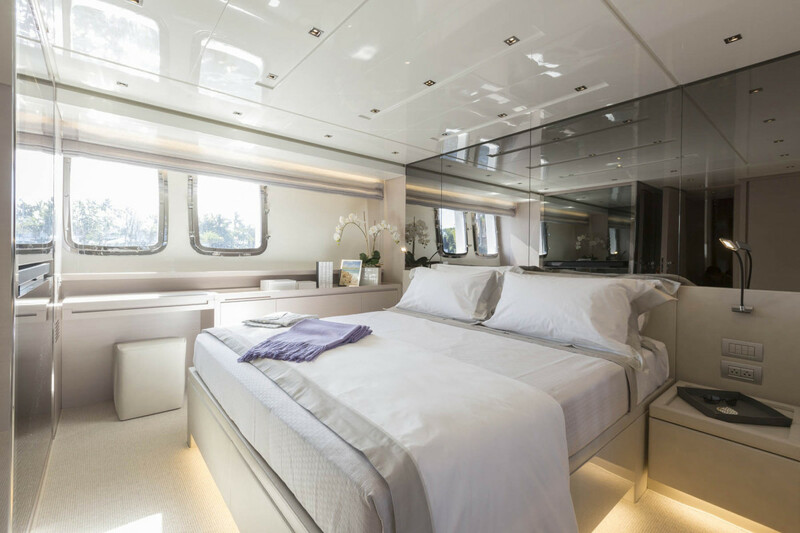 Throughout this yacht, Lowe created a tactile experience with textured bulkheads, nubby carpet and stitched suede everywhere. As when I’ve been aboard other Sanlorenzos, I fought the urge to run my fingers over the surfaces. 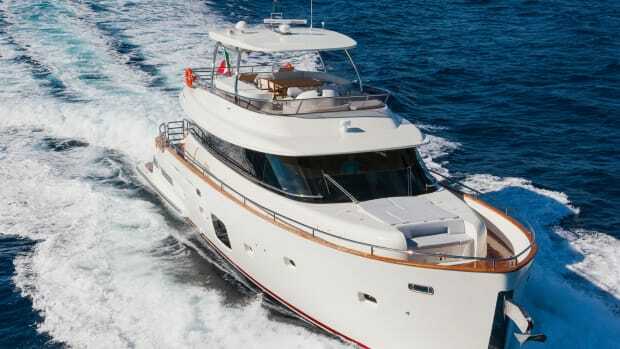 The upper helm duplicates the pilothouse electronics. 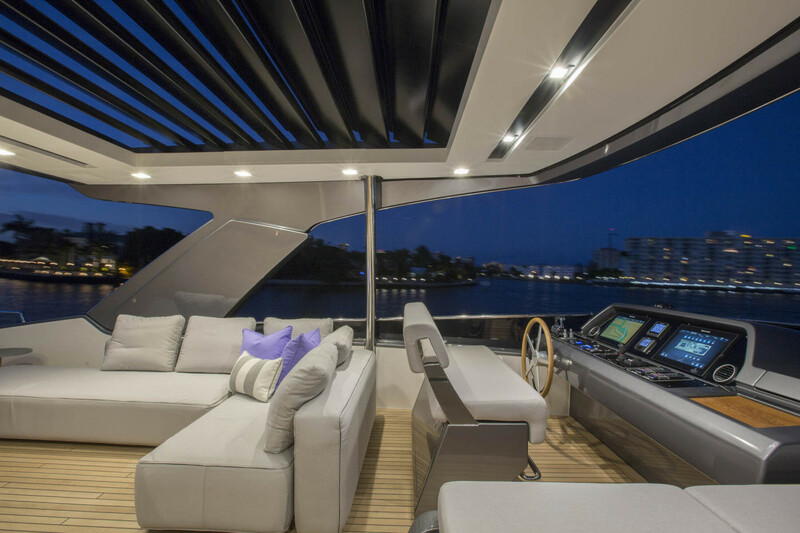 The bridge on the SL78 has couches, overstuffed pillows and lounges aft. A bar is to starboard with a Kenyon grill, sink and fridge. The skipper has an “office” with a triple-wide helm bench abaft a fiberglass dash console that holds twin Raytheon monitors. There is also a lounge for reclining to starboard. Particularly thoughtful are the Lucite panels under the bridge railing to block the wind but not the view; they should save more than a few hats from going into the drink. A cantilevered hardtop shades half the bridge, and can let in some sunrays when you want them. 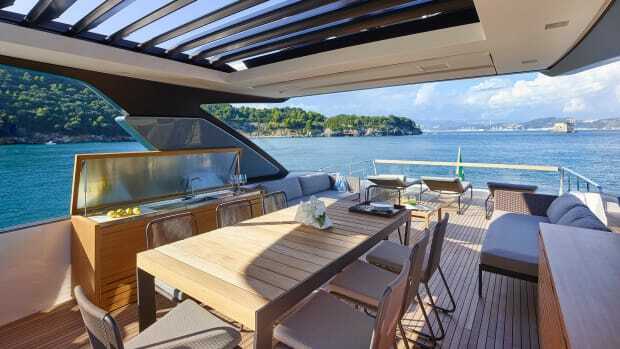 Up on the foredeck is another entertaining area with a U-shaped couch, sunpads and a folding, surrey-style sun hood. 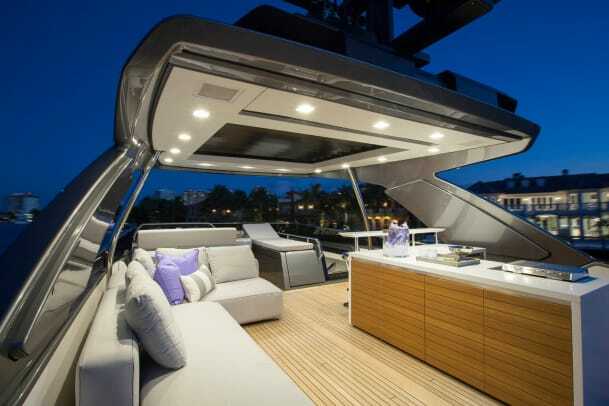 The foredeck has lounge seating with an elevated view. Another custom touch is the folding electronics mast to allow an American owner to pass under the Sag Harbor bridge on New York’s Long Island. 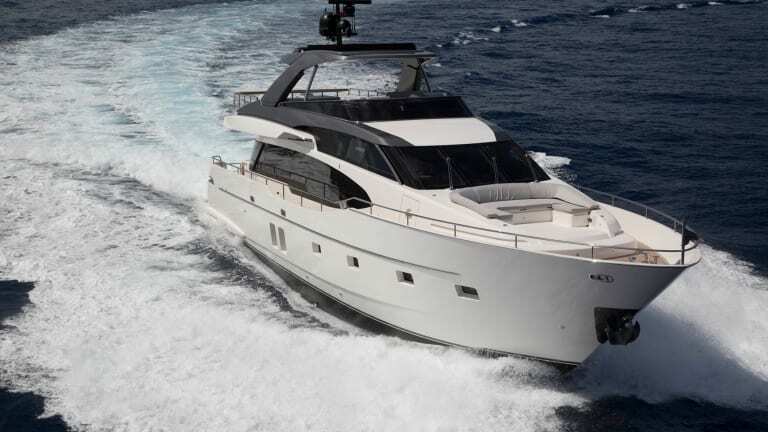 Aft on the main deck is a transom garage that easily absorbs a Williams Turbojet 385 tender that seats five adults. The tender stows athwartships and launches when its cradle rolls onto the hydraulic swim platform. 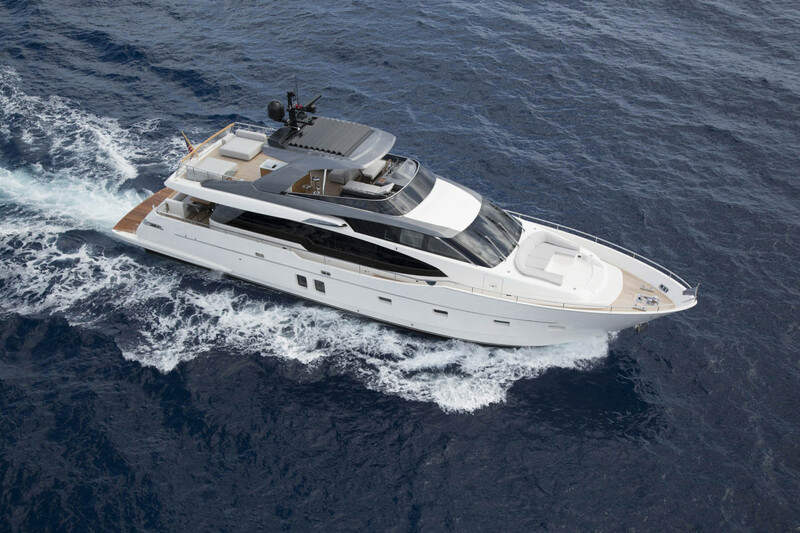 Standard power for the SL78 is a pair of 1,523-horsepower MTU 10V 2000 M95L engines. 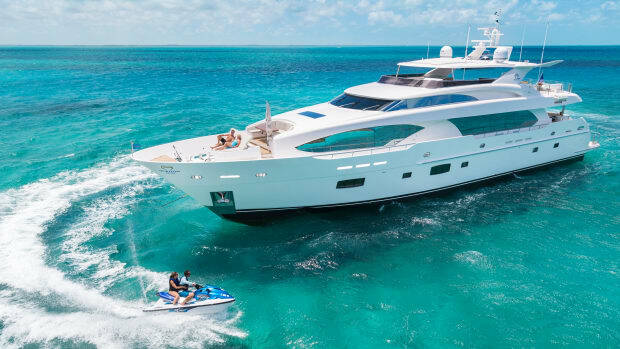 The yacht that I toured had upgraded 1,622-horsepower diesels for a reported top speed of 30 knots. 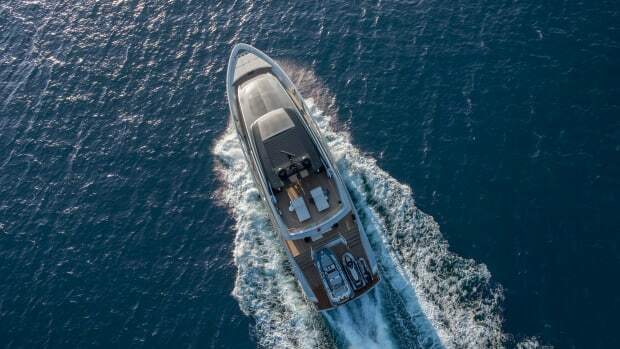 Unseen features of the SL78 are systems redundancies, including tropics-level dual-chiller air conditioning that can run 24/7, and twin generators that can each power all yacht systems. 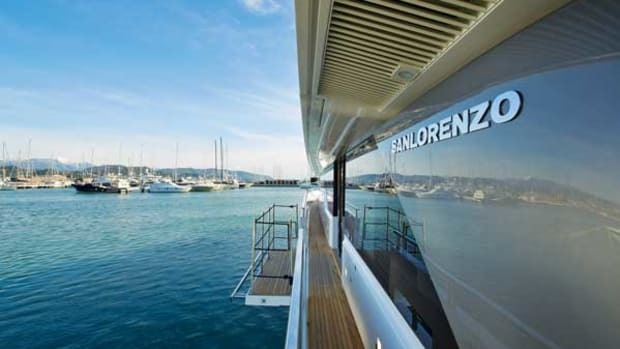 Thoughtfully designed and outfitted, beautifully finished and decorated, the Sanlorenzo SL78 is a complete delight.